Thank to Minnie St. Studios. *All RRPs are in NZ dollars. Nails by ESSIE, seen throughout. 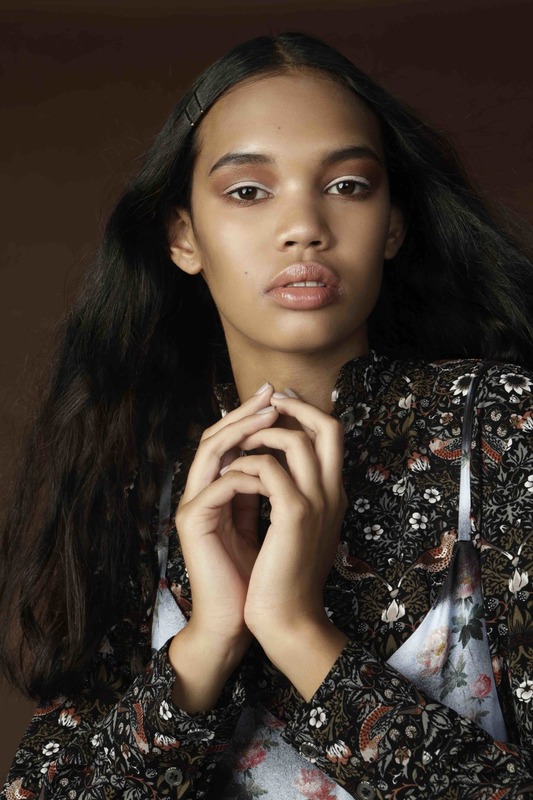 In our latest editorial, we take a moment to focus on Jordan’s gorgeous peepers and some runway-inspired beauty trends that we have the hots for. A full set of lashes on the daily? Forget it. In saying that, this look has given us a new appreciation for them. For a few seasons now, we have seen falsies crop up (think gloriously heavy bottom lashes at Marni SS16) and they don’t seem to be going anywhere. In this beauty look, we took inspiration from Paul & Joe’s SS 16 show. These ModelRock lashes used on Jordan are absolutely luscious, contrasting perfectly well against Rachel Mills’ powder blue separates. We are seeing a huge revival of matchy-matchy and we are all over it. For this look, Jemima used her absolute favourite eyeshadow of the moment—the Giorgio Armani Eyes to Kill pressed shadow in Sweet Fire. Jordan’s lip pairing was MAC Syrup. Jordan wears Seed Heritage pant-shirt combo with a Kate Sylvester broach. We have seen this interesting take on the look do its rounds on the runways, most recently at the Dianne von Furstenberg. A simple twist with a neutral palette is sometimes all you need. Also–Jordan is killing it in this print-on-print look created with the coolest soloist pieces from Workshop. Smokey eye? Crisp liner? Why must we always have it one way or the other? We have noticed a resurgence of the wacky combo at the likes of Guy Laroche and Fendi SS16. It’s inspiring to break the rules every now and then. For the top line, Jems used the Bobbi Brown Long-wear Gel Eyeliner in Black Ink. For the bottom lash line, she buffed the same product in with NARS #14 Bullet Brush for the perfect slept-in effect. This ruffled shirt from Maurie & Eve is the shizzle.